Minted in bronze, this medallion is 3 inches in diameter. 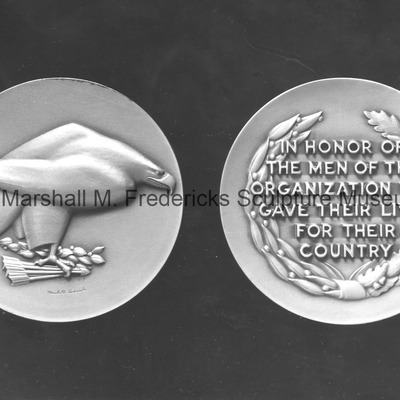 The medallion is based on the Eaton War Memorial Eagle. Face: Bas-relief of the Eaton War Memorial Eagle, signed "Marshall Fredericks"